So as you all noticed in my nursery reveal I added black out drapes to both of the boys bedrooms a few months back. I just found that when the days started getting longer their bedrooms where staying light at bedtime and it was making it more difficult for them to fall asleep. 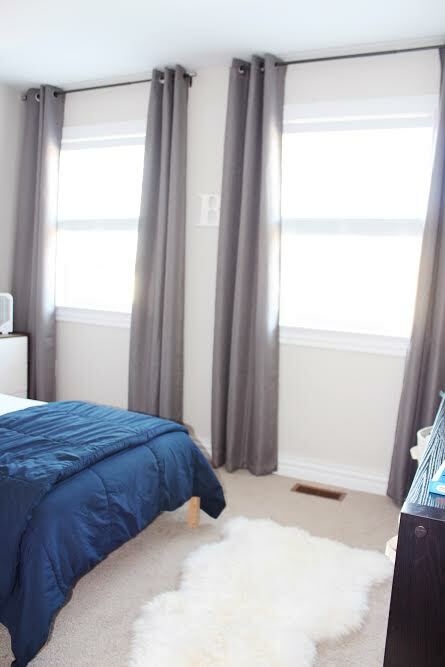 One of my favourite things about their rooms is that they both have two big beautiful windows to let in lots of natural light, however that is great for all aspects of the day except for bedtime. So because I didn't want to spend a tone of money on curtains for their rooms I thought today I would share my 3 tips for making your store bought drapes look a little more custom! Always try to look for a nicer fabric, something like a linen blend or cotton always look more expensive then it really is and gives a nice texture to your drapes. Both of the blackout drapes I found for the boys rooms have a nice linen like texture that really dresses them up. This is probably the most important tip of the three, always buy your drapes the right length. You want them to "kiss"the floor in most cases and not look like you are expecting a flood! If you have standard 8 ft ceilings you want to look for between 96'-98' drapes and hang them as close to the ceiling as you possibly can. This helps make your drapes look grand against your window and really frames it in. The last tip is drapery weights. Aside from having drapes that are way too short the next huge giveaway of store bought curtains is the flaring out of the fabric towards the bottom. A lot of times the fabrics don't have the weight to keep the drape hanging nice and straight which is when drapery weights come in handy and make a huge difference. 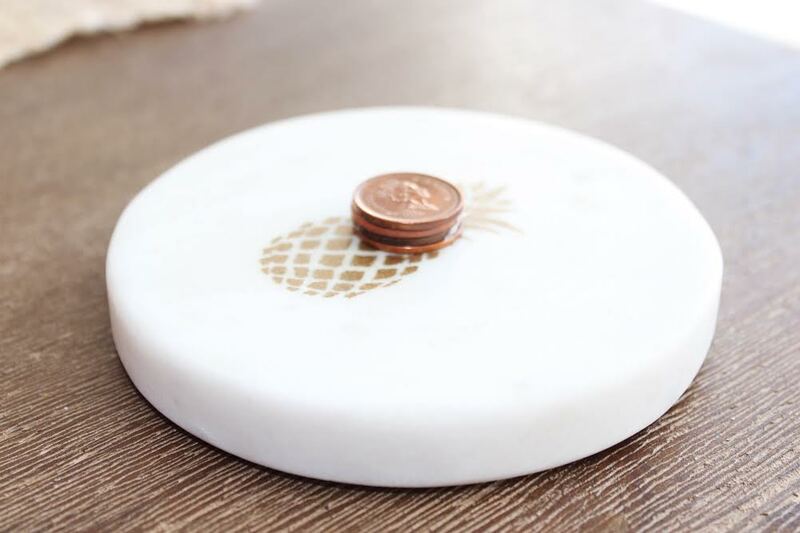 You can buy them at any fabric store but I prefer to make them with pennies, yes pennies. 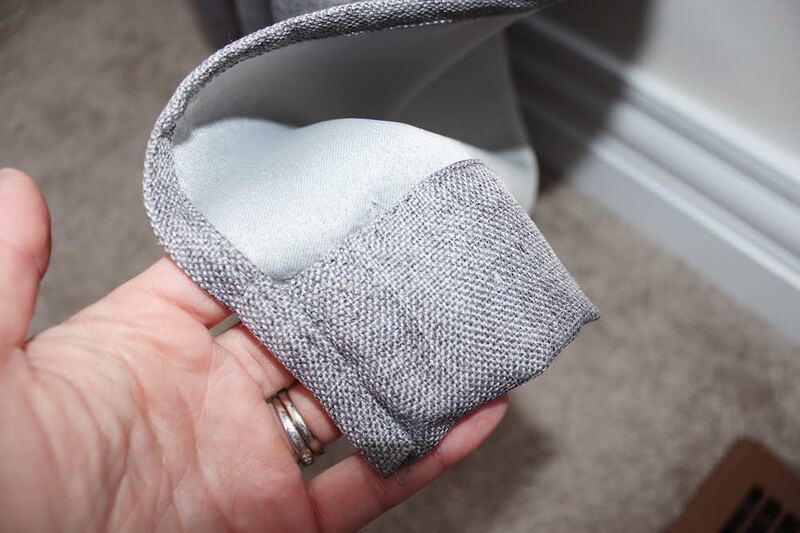 I hot glue gun 4 or 5 together depending how much weight the fabric needs, make a small incision in the hem of the fabric and insert it in. then stitch it shut, and voila, you have weights in your drapes that only cost a few cents...literally. 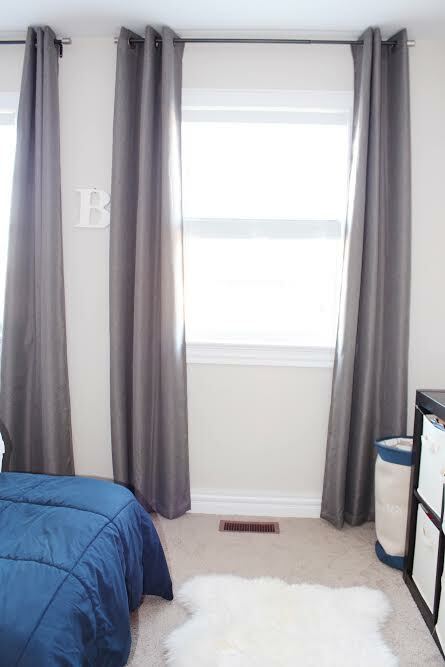 I purchased both the boys drapes from Homesense, I find they have a great selection and are also available in two packs which is a huge perk when you have so many windows. I needed 8 panels between both of the boys rooms so it was really great being able to get them in packs of two! I hope you guys enjoyed these tips and have a lovely day!